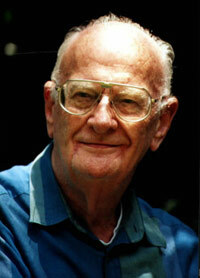 That brilliant scientist and science fiction writer Arthur C Clarke is famous for his inspirational quotations. His three 'laws' are so applicable to the question of interstellar travel that they are given as an introductory comment on the subject to this section of the website. There are those people who believe that because of the limitation placed by the speed of light as an ultimate barrier, interstellar travel will be forever impossible and that all star systems are destined to live forever in quarantine separated by the stupendous and unbridgeable distances that lie between the stars. There are others who dream that the Star Trek adventures of Captain Kirk and Mr Spock and their colleagues are nearer to the truth or that ways will be found to travel through wormholes in space-time as envisaged by Carl Sagan in his enthralling book and film 'Contact'.